I often wonder what else is happening in the world that I should know about. This is definitely one of them! 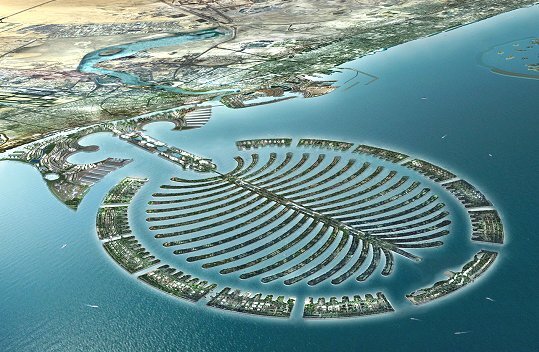 Basically, some Arabian prince has decided to create a man-made island that looks like a perfect palm leaf, build amazing multi-million dollar homes, hotels, and more. "An enormous project is underway in the Arabian Gulf that will literally change the face of the coastline. It's so vast it can be seen from space. 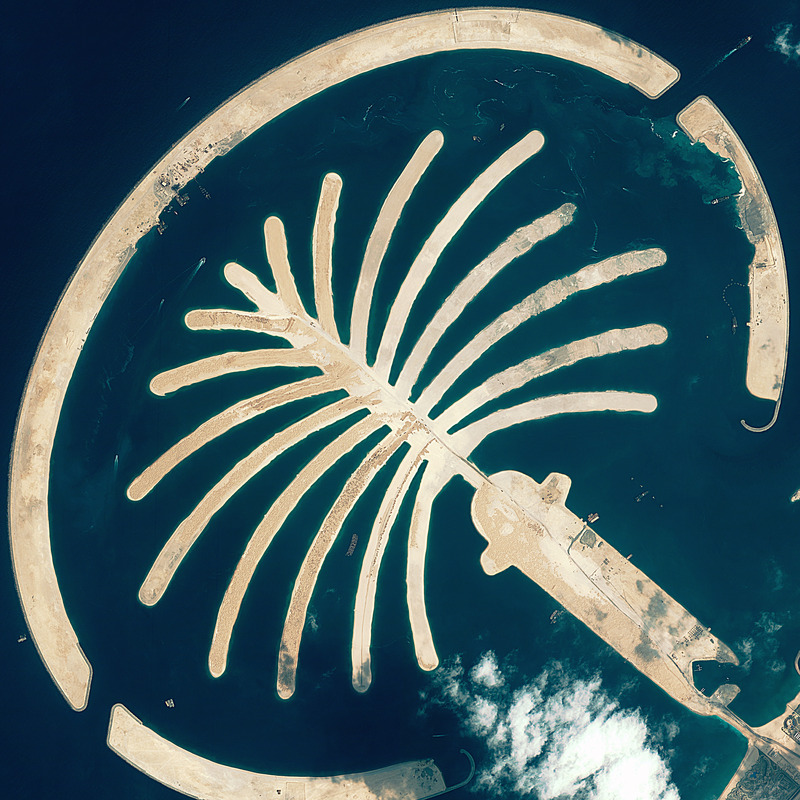 The world's largest artificial islands are being constructed and fashioned in the shape of a massive palm tree. An ambitious engineering feat, it's part of an even bigger plan to transform Dubai into one of the world's premiere tourist destinations. MegaStructures tells the story of the race to build this new engineering feat." This address gives a nice history of how the construction has progressed. Here is a HUGE resolution image of the island. -An ice age or global warming or some catastrophe causes the near extinction of the human race. -The few survivors are spread throughout the world and start creating a new population. -These people discover this island and are convinced that the "Palm God" has bequested them a holy land? Don't know how I got that idea. Anyway, that is absolutely amazing that can be done! Wow! That's pretty amazing. But the first thing that comes to my mind is a tsunami that wipes the whole thing out.